Tennessee Williams’ steamy Southern drama Cat on a Hot Tin Roof is now playing at the Apollo Theatre, but can you recognise the cast from previous performances? It stars Jack O’Connell, Sienna Miller and Colm Meaney, and to stop you scratching your head while you’re sitting in the Dress Circle, wondering where you’ve seen them before, here’s our guide to a few key performances from the cast. Best known as Cook on the hit TV show Skins, Jack O’Connell has gone from strength to strength. His early work on Dive, United in which he played Bobby Charlton and The Runaway kept him in TV for a time, but Jack soon moved to the big screen. He’s played a number of rough, dangerous types in films like Harry Brown, Eden Lake and Starred Up, but also proved he’s got the chops for more sensitive, dramatic roles. You may have seen him in Angelina Jolie’s Unbroken or last year’s hostage drama, Money Monster, with George Clooney and Julia Roberts. He’s fast becoming a familiar face across the pond as well as a being a UK heartthrob and rising star. Sienna Miller start her career ins modelling, then transitioned into acting with small roles in the remake of Alfie and Layer Cake then onto leading roles in Factory Girl, where she played 60s model Edie Sedgwick. As her star rose, she began appearing in big budget Hollywood movies like G.I. Joe: The Rise of Cobra, Brit flick The Edge of Love and more recently High-Rise, the dystopian drama with Tom Hiddleston. While Sienna spent the bulk of career in film, she’s no stranger to the stage. She appeared in Patrick Marber’s After Miss Julie and Cabaret on Broadway, As You Like It and Flare Path in London. Now she’s returned to the stage to play Maggie in Cat on a Hot Tin Roof. At this point, if you don’t recognise Colm Meaney, you never will. He starred in the iconic Star Trek The Next Generation as Miles O’Brien, reprising the character on Deep Space Nine. More recently, Colm’s TV work included five seasons of Hell On Wheels, set in the late 1800s around the construction of the first Transcontinental Railroad. If you think you know him from film rather than TV, that’s likely as he’s been working in cinema since 1981. How about from iconic Irish movie The Commitments? Nicholas Cage action flick Con Air? Layer Cake, Get Him To The Greek or Alan Partridge: Alpha Papa? If you’re still not familiar, now is a great time to see Colm on stage. 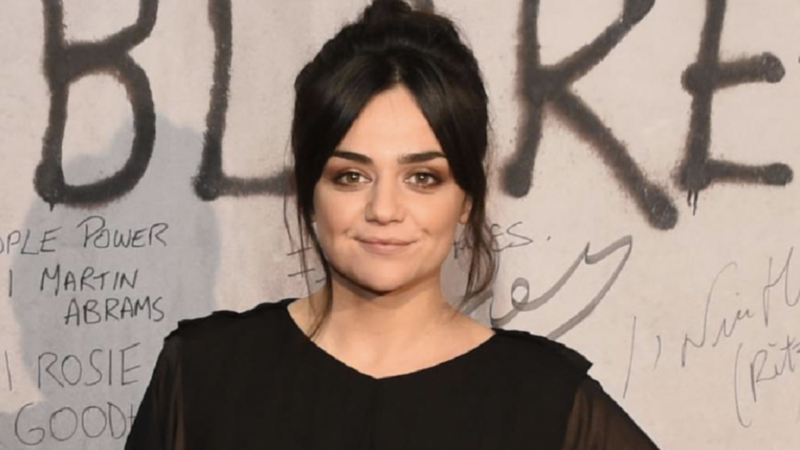 Hayley Squires is a relative newcomer but in the few roles you may know her from, she’s made a big impact. 2013 saw Hayley appear in the terrorism drama Complicit alongside Denise Gough, which won the BAFTA for Best Single Drama. She also appeared in the fictionalised version of the VE day celebrations of Princesses Elizabeth and Margaret, A Royal Night Out. Then came the British drama, I, Daniel Blake, where she played a struggling single mother. It shot Hayley into the spotlight, earning her both domestic and International nominations and even a BAFTA nomination. Catch this rising star on stage now in Cat on a Hot Tin Roof. Enter our exclusive £20 ticket Lottery for the show now, available for every performance! Want more? 5 Reasons To Love Motown The Musical.